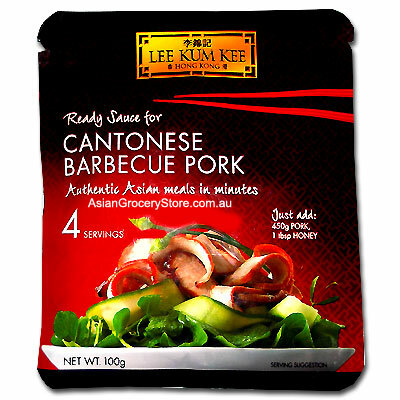 Minimum quantity for "Lee Kum Kee Cantonese Barbecue Pork Ready Sauce" is 1. White Sugar, Water, Salt, Garlic, Fermented Soybean Paste ( Water, Salt, Soybean, Wheat ), Honey, Soy Sauce, ( Water, Salt, Soybean, Wheat, High Fructose Corn Syrup), Malt Syrup (Rice, Barley,Malt ), Modified Corn Starch, Spices, Acid (206 ), Colours ( 150a,129 ). Contains Soybean, Wheat, Barley.